The latest App4Sales update has introduced various new functionalities within the sales app. One of these functionalities is the lookbook. In addition to the practical catalog of App4Sales, where you have all your items in a convenient overview, it is now also possible to use ambient images with an efficient layering. Your ambient images can be tied to an edition in the sales app and be displayed this way. 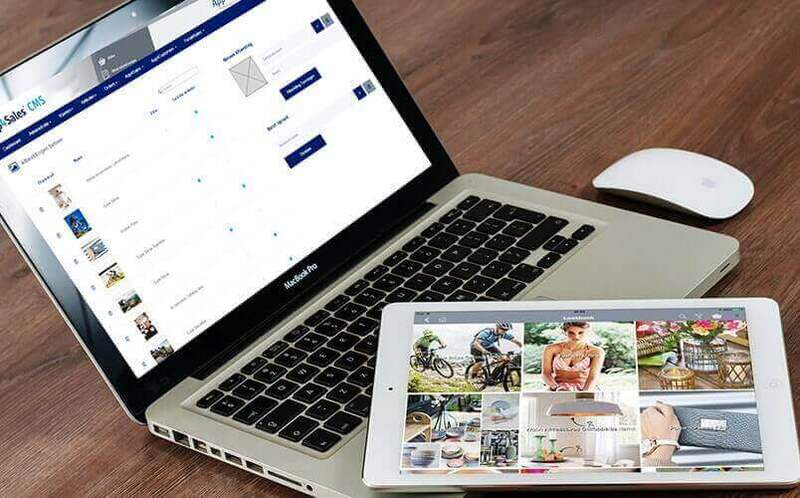 This makes it possible to create a lookbook you can go through with your customers step by step, and you can also easily share the ambient images with your customers with the appropriate button. If your customer is interested in an item, you can easily and quickly retrieve this and add it to the current order. Present your range in a completely new way and give your customers a good impression. Stimulate your sales with the lookbook functionality and increase your revenue. In the App4Sales CMS, you can create editions and add ambient images. Each ambient image can be linked to items. It is possible to, for example, to display an item group within App4Sales or to link a number of items. When you link items to the image, these can be selected in the ambient images. The selected item will appear and can easily be added to the current order.